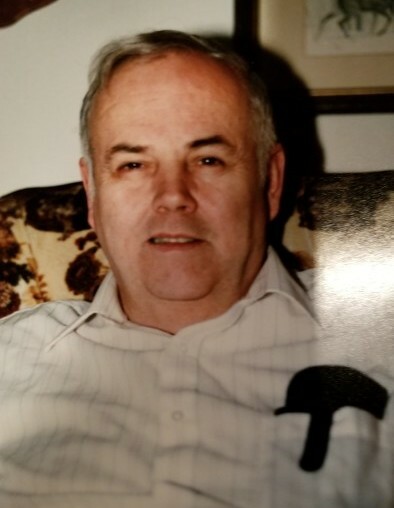 On Wednesday, January 16th, 2019, Ronald Poling, loving husband and father of four children, passed away at the age of 80. Ronald was born on September 3, 1938 in Williston North Dakota to Kansie Poling (nee Kappadall) and Lyle Poling. On May 15th, 1960 he married his wife Delores. They raised three daughters, Correne, Lisa and Melanie and a son, James. Ron served as a member of the Army National Guard and worked for Reeves Refrigeration and Heating Supply in Minot for most of his adult life. He was a member of the Refrigeration Service Engineers Society (RSES) from 1968-2005. Ron was also an active member of the Minot labor movement holding several leadership roles in the Minot Labor Temple, including Treasurer. In all aspects of his life, Ron was known for his kind and friendly spirit. Ronald was preceded in death by his mother, Kansie, his step-father Paul Lulai and his brother Gary. He is survived by his wife Delores, Minot, his four children, Correne Kochel, Minot, James (Kim) Poling, Cheshire, CT, Lisa (Ben) Bent, Minot and Melanie (Kris) Maham, Surprise, AZ, his brother Daryl, as well as 8 grandchildren (Rob and Reed Kochel, Jessica, Alexander and Nicholas Poling, Ryan Bent, Kristina and Lindsey Maham). At his request, Ron was cremated, and a memorial service will be announced at a later date. Condolences may be sent to Delores Poling at 6911 27th Ave. NW, Minot, North Dakota 58703.